The elements of this bold, graphic design evoke an air of the middle east. Tajine (tagine) is a Moroccan stew, and in this case it contains a special secret ingredient: squirrel. 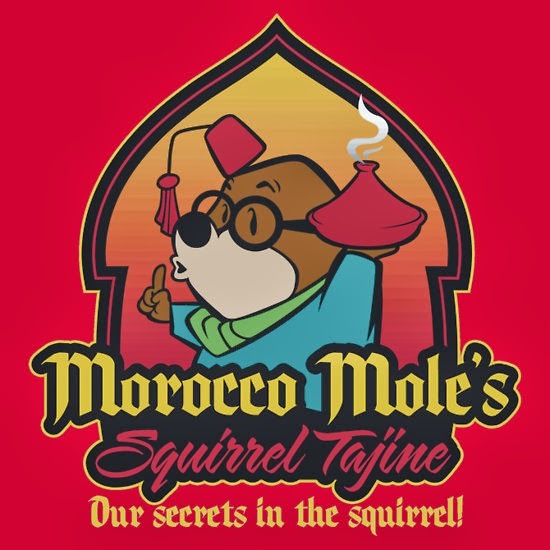 Don't give away Morocco Mole's secret, though! His Squirrel Tajine is a favorite of the tourists. Another funny squirrel shirt for the win!